1.7 Ancient Taruntius-sized crater west-northwest of Taruntius? Left: LROC image WAC No. M119543948ME. 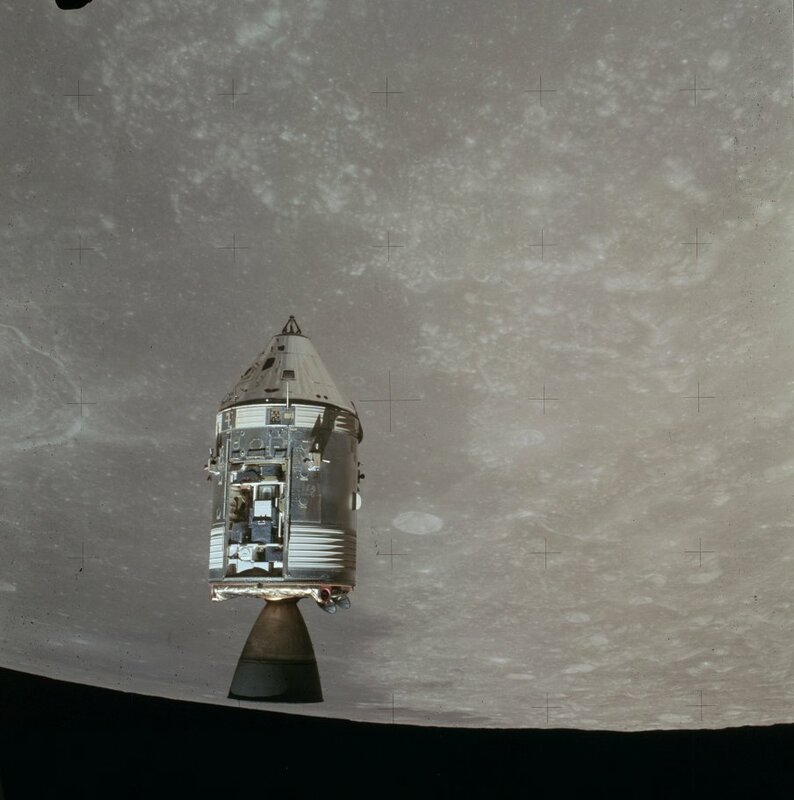 Calibrated by LROC_WAC_Previewer. 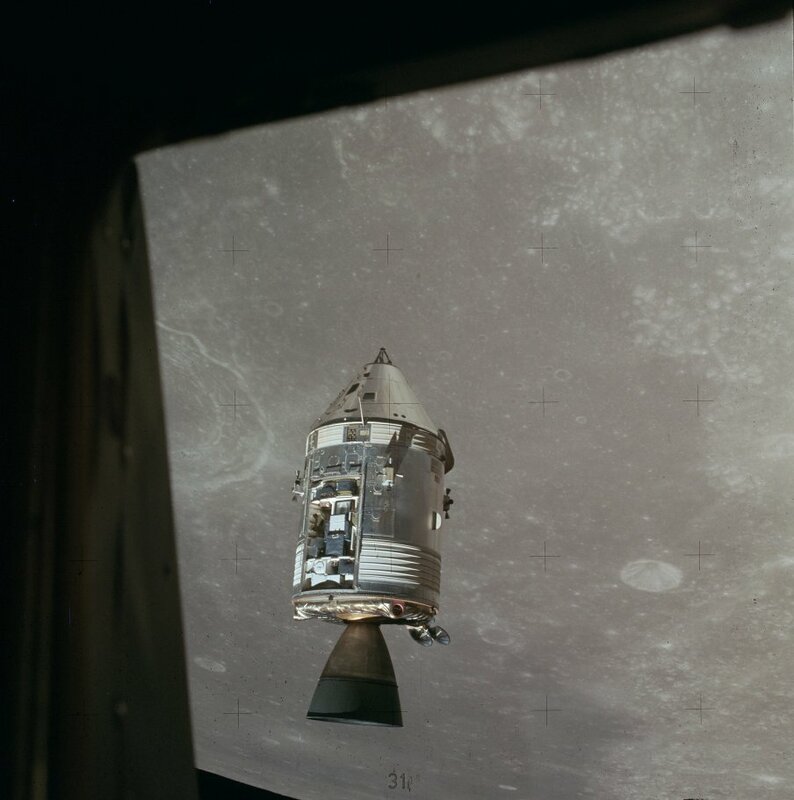 Plus three "forgotten" orbital Hasselblads of Taruntius's northeastern part, photographed through one of the triangular windows of Apollo 15's LM Falcon, just before docking with CSM Endeavour (of which the exposed Scientific Instruments Module (SIM-bay) is seen). Taruntius is the "half-crater" at the left margin of all three photographs. Research: Danny Caes. 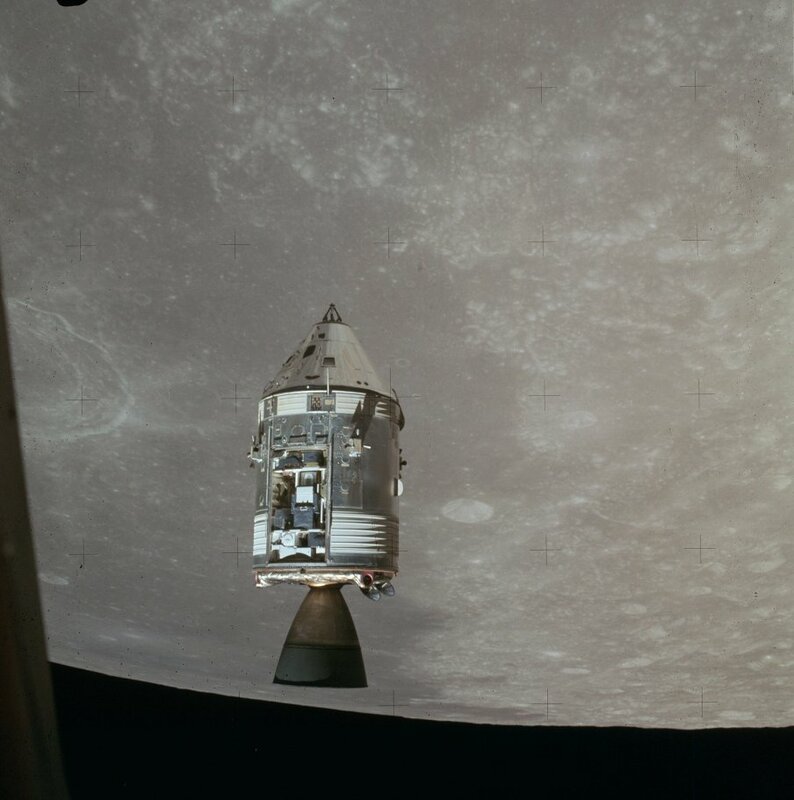 Apollo 11's Hasselblad AS11-42-6301 shows Taruntius O, and not Secchi K as mentioned in the caption. Discovery of error: Danny Caes. Discovery of depicted region's exact location: Jim Mosher. (IAU Directions) TARUNTIUS.--Notwithstanding its comparatively low walls, this ring-plain, 44 miles in diameter, is a very conspicuous object under a rising sun. Like Vitello and a few other formations, it has an inner ring on the floor, concentric with the outer rampart, which I have often seen nearly complete under evening illumination. There is a small bright crater on the S.W. wall, and a larger one on the crest of the N.W. wall, with a much more minute depression on the E. of it, the intervening space exhibiting signs of disturbance. The upper portion of the wall is very steep, contrasting in this respect with the very gentle inclination of the glacis, which on the S. extends to a distance of at least 30 miles before it sinks to the level of the surrounding country, the gradient probably being as slight as 1 in 45. Two low dusky rings and a long narrow valley with brilliant flanks are prominent objects on the plain W. of Taruntius under a low evening sun. Originally mapped as Copernican because of its rays but these are compositional rays (highlands material) that have reached full optical maturity and thus the crater is older than Copernicus and is now considered Eratosthenian age. (Hawke et al: Composition and origin of Coprnican Rays… Mappers Conference 2005). Ancient Taruntius-sized crater west-northwest of Taruntius? SLC-map A4 shows the remains of (what seems to be) some sort of Taruntius-sized crater west-northwest of Taruntius (between Taruntius and Lawrence). Lucius Taruntius Firmanus (sometimes Lucius Tarrutius of Firmum) (unkn-fl. 86 BC) was a Roman philosopher, mathematician, and astrologer. A Portfolio of Lunar Drawings (Harold Hill), pages 22, 23. This page was last edited on 16 April 2018, at 21:42.